Last month we went to Chattanooga to visit our friends Chris, Erin, Eleanor, and Ian. 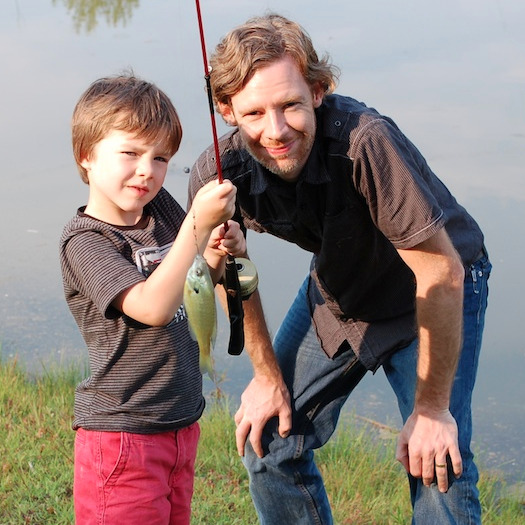 While we were there, Davis caught his first fish. There was a pond behind our rental house and fishing poles in the closet. Davis and Tracy discovered earthworms under the stumps around the fire pit. Tracy baited Davis’s hook and low and behold, Davis caught one about the size of my hand. He was so excited. I was totally impressed with his natural ability to cast the line and reel it in. He looked like a pro!